On Wednesday 28th January six year 6 children and one year 5 child (Bradley, Johnny, Jack, Ali, Max, Aaliyah and Emily) represented the school in a mixed handball tournament at the Ark Kings Academy. The event started off with some coaching for the children by two coaches from Handball England. The children really enjoyed this and it gave them time to practise with the different balls. After that, the tournament started. Chilcote were competing against Hollywood and Yardley Wood in a round robin tournament. The teams played each other twice. In the first game Chilcote played against Hollywood Johnny score the opener and then Chilcote conceded a penalty, which they scored, but Brad managed to get a winner so it finished 2v1 to Chilcote. In the next game Chilcote took the lead against Yardley Wood but were unfortunately pegged back and then conceded 2 more in quick succession to long throws over the top. Chilcote lost 3v1. Then Chilcote played Hollywood again and in this game the team really started to play well and pass and move quickly. Chilcote won 2v0. In the final game Chilcote again played Yardley Wood and took an early lead. Chilcote then had lots of chances but couldn’t find the back of the net. Yardley Wood scored twice with not long left to win 2v1. These results meant that Chilcote finished as runners up in the tournament. All of the children did really well and played their hearts out! Well done to all! Turning off You Tube comments. Recently, a pupil was concerned about comments on YouTube and asked our e-Safety advice centre for help. This link shows you how to delete comments you might have made or comments made by others. This link shows you how to turn off all comments. Remember: you should be 13 to have a Google+/YouTube account. If you have one, make sure your parents are aware, so they can help you enjoy the web safely. Here's a link to more information on Google+. More information for parents on other social media networks can be found here. Our visit from the Royal Ballet. 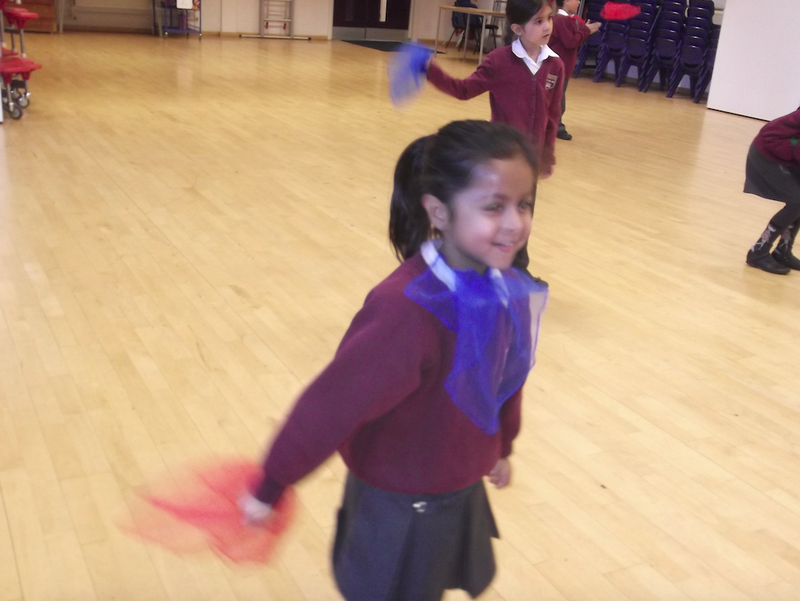 On Wednesday morning Year 1 took part in a ballet workshop. Four members of the Birmingham Royal Ballet Company came to school to work with 1 Elm and 1 Fir. The children had a wonderful time learning ballet moves and dancing to music played by the Company's pianist. Many thanks to the parents who could make it in for our reading workshop today. For those not able to attend, here are some useful links and ideas. Pocket Phonics and Hairy Letters are fun and effective ways to practise phonics. Pocket Phonics is particularly good because it reflects the way we teach phonics in school. The children: repeat the phoneme (the sound); write graphemes (a letter or letters); blend sounds to form the word; they are then shown a picture, this is for them to verbalise the word in a sentence using the picture as a prompt. 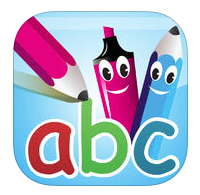 Here’s a link to the Pocket Phonics and Hairy Letters apps. It was a cold, rainy and windy day. Bob felt zxhjrtp. 2) Work out the word. Whilst phonics can help with word recognition, it can't explain the meaning. However, you can work out a word's meaning by using the context of the rest of the sentence. 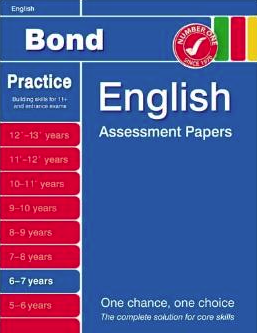 Here’s a link to an activity sheet for you to download to practise this important skill. There are many books available. 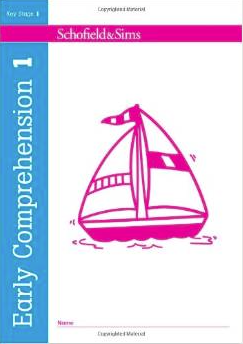 Here are two links to very inexpensive resources for your child to practise reading comprehension. 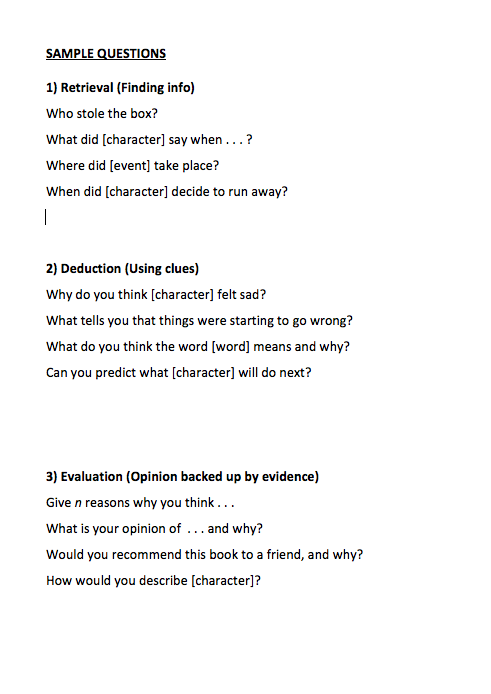 Here’s a link to a sheet you can download to help you ask your child different types of questions when reading with your child. There’s also a tally to help keep track of the types of questions your child needs support with. 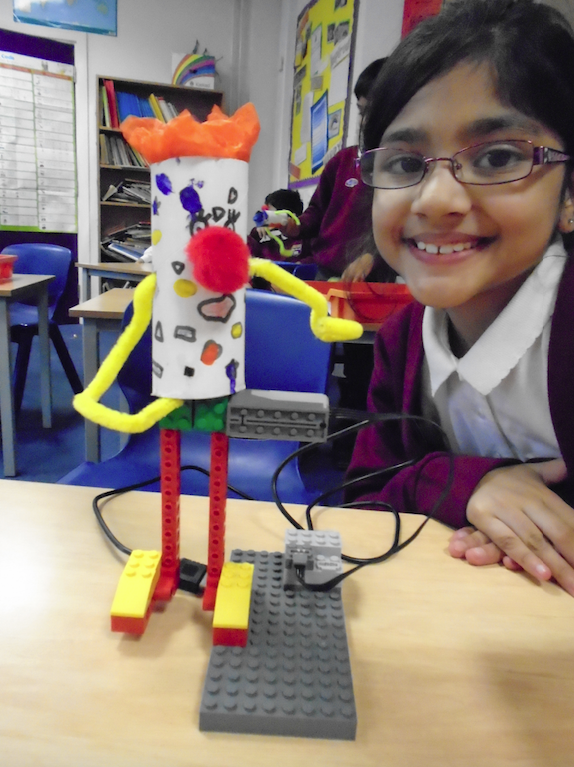 For our 'Circus' topic, we've been designing, building and programming our very own Crazy Clown robots. 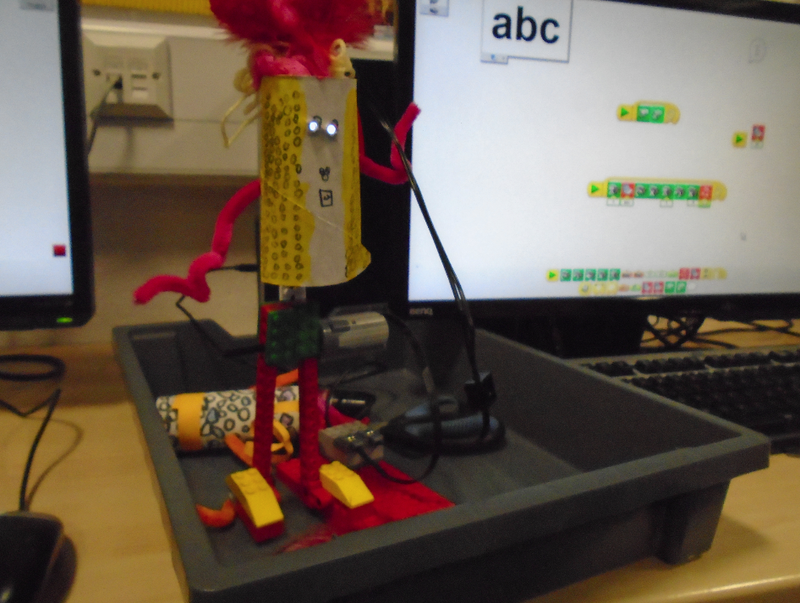 We used the amazing Lego WeDo kits and programmed them using the computer. Thanks to Maya's dad and Ewan's dad for coming in to help! 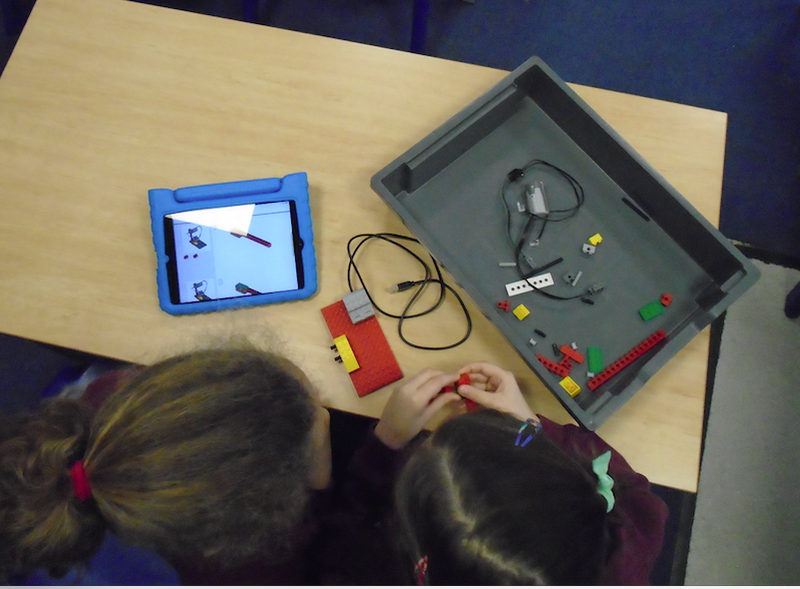 We downloaded the instructions from the Lego website to our iPads. Once we'd constructed our robots, we plugged them into the computer. 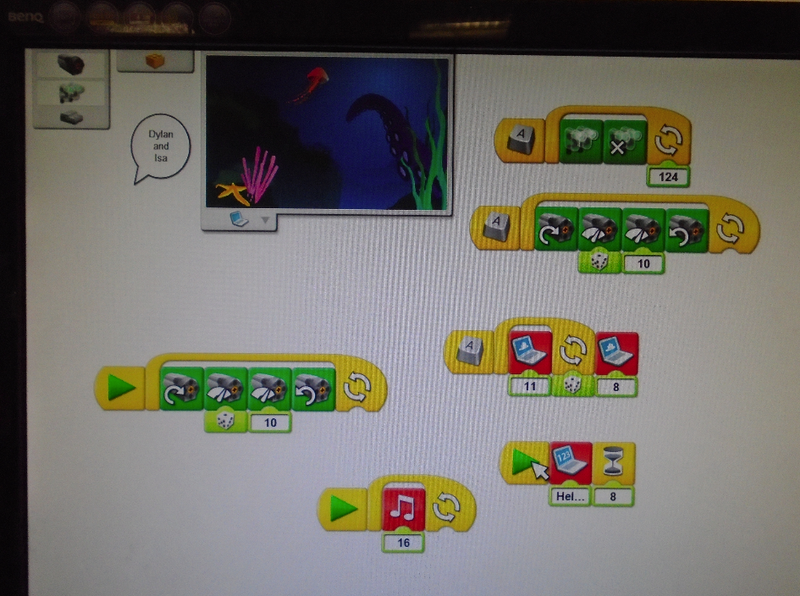 Here's an example of a program that features input, output and loops. A whole day building and programming robots = big smiles. 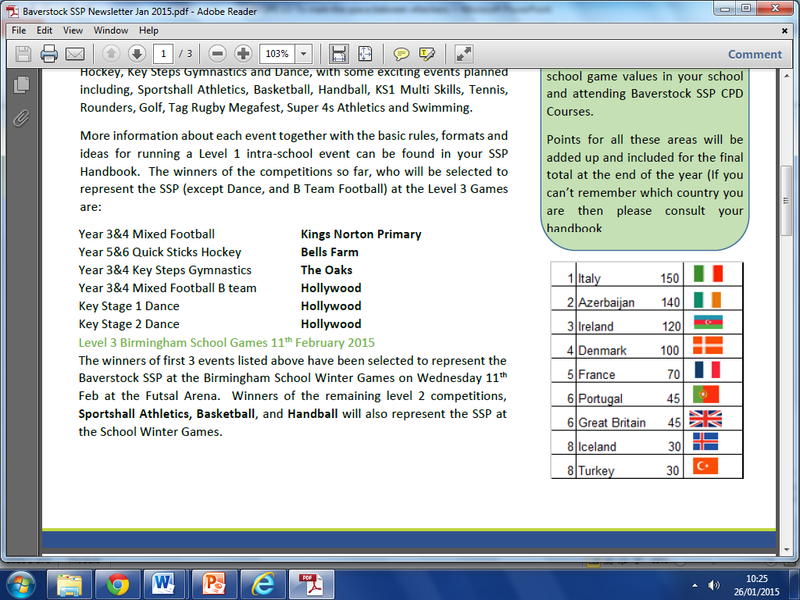 This year in the Baverstock sports partnership Chilcote are representing Italy in the overall points/medal table. This points score is a combination of all of the points accrued by all of the partnership schools throughout the year. You receive points for attending sports tournaments and other Baverstock events. At Christmas Chilcote topped the medal table by 10 points from Hollywood in second place. Well done to the 50+ different children who have represented Chilcote so far this year! Let’s hope for a great second half of the year at the Baverstock events! 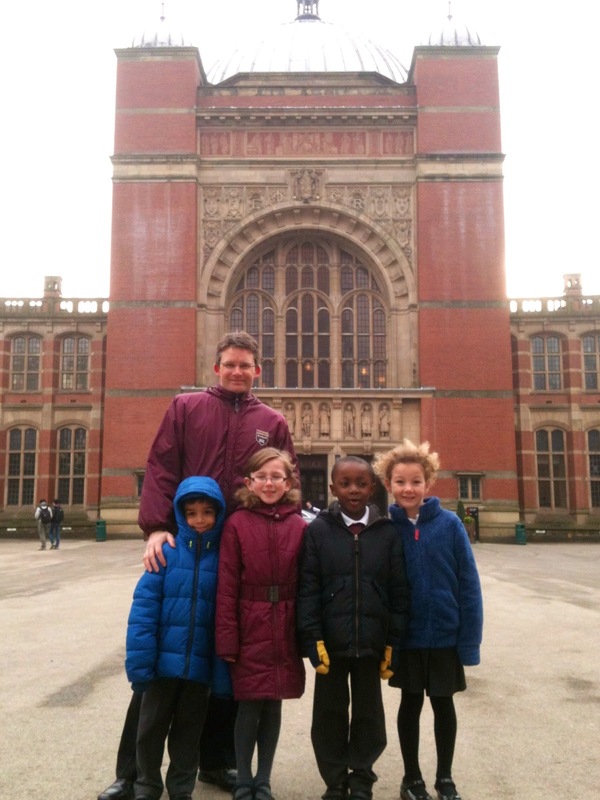 Year 2: Young Researchers visit Professor Gary Thomas! Note the empty biscuit plate! The Great Hall was exactly that. 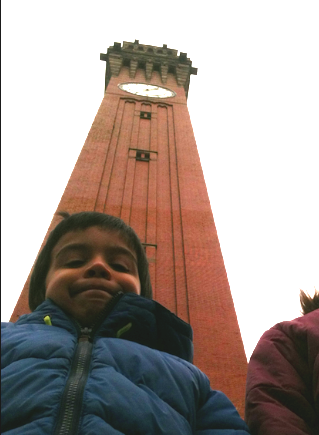 The Joseph Chamberlain Memorial Clock Tower. Your parents can see why you have earned rewards! 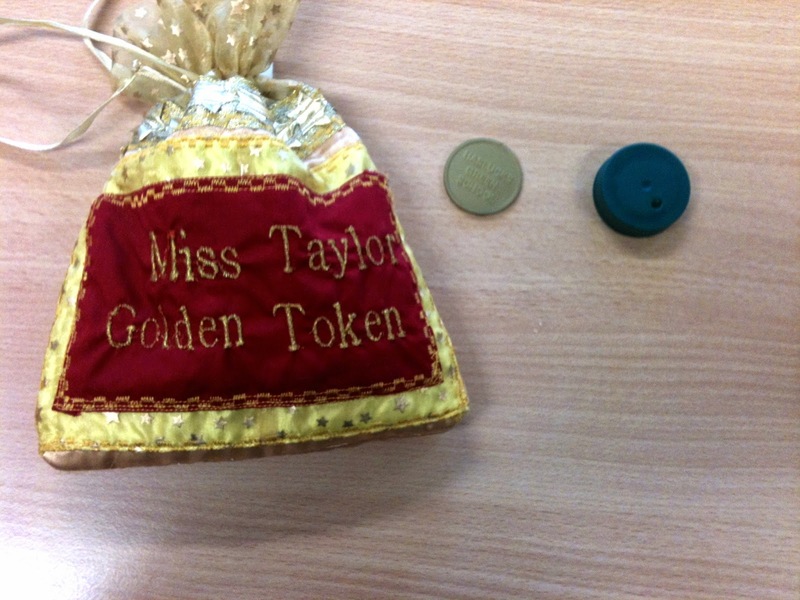 At Haslucks Green, they have tokens to get rewards. The blue one is a milk bottle top for when you do something to save energy. On the last two Friday afternoons, our Young Researchers team have been on interesting and informative trips. To answer their research question 'What rewards work? ', they wanted to visit local schools. So, they quizzed the fantastic and welcoming children at Haslucks Green and Yardley Wood on the rewards they had at their school. This Friday, they met top research author Professor Gary Thomas at the University of Birmingham who was very generous with his time, advice and his impressive selection of biscuits! They'll be asking you for your opinions on what rewards work soon! In your child’s book bag, you should have found a copy of ’Digital Parenting’ magazine which features lots of best practice, practical advice that has been informed by research. All ages are covered to help Chilcote children enjoy technology safely, including those in your family who may have left us several years ago. More e-Safety advice can be found here. SCHOOL COUNCIL TRIP TO THE HOUSES OF PARLIAMENT! On Tuesday 20th January, the School Council, competition winners, Mrs Wishart and Mr Canning met up by the school’s main entrance at 7:45am. The atmosphere was electric! We were going to the Houses of Parliament for an educational trip. The 15 children and 2 adults piled into the massive Johnson’s Coach with no idea of what the day would bring! The coach journey was incredibly long - just under 3 hours! Some people read, slept, wrote, played games, or simply watched the view, and then we were there! After a short walk, we reached security! Our bags were scanned, and then we excitedly walked through the metal detector ourselves! Mrs Wishart bleeped! Consequently she had to stand in a T shape, with her arms out, whilst the security man checked her with a smaller metal detector! Then, she had to turn round and do the same again! For some reason, it seemed like it was her SHOES that were setting the alarm off, and not her lovely jewels! Then they gave us all these long lanyards to wear that proved that we’d been through security. Once through security, we went inside into Westminster Hall! It was GIGANTIC! The stained glass windows gleamed in the sunlight, casting shadows into the room, which were tinted with all of the colours in the rainbow!!! The massive hall dwarfed us, and was full to the brim of camera men, reporters and schools! This was the 750th anniversary of the first ever type of Parliament! 1.) The Houses of Parliament is a palace – kings and queens lived there until a fire when Henry VIII left and moved to a different palace! 2.) It is 750 years to the day the first ever parliament sat in Westminster! 3.) 200 years ago was the battle of Waterloo and there is a giant painting on one of the walls of the battlefield. Another painting is of the Battle of Trafalgar (at this battle Lord Nelson died and his body was stored in a barrel of French Brandy before returning to England). 4.) Queen Victoria’s height was less than 5ft (that is why she always had a stool under her legs on the throne, so that her legs didn’t dangle!). The current Queen, Elizabeth II, has nearly reigned as long as Queen Victoria! 5.) The monarch is not allowed in the House of Commons so we can (and have) gone further than her! The Queen only comes to Parliament for 45 minutes a year, during the state opening of Parliament, and she is only allowed in the House of Lords. 6.) In the House of Lords and Commons you are not allowed to sit on the seats unless you are an MP or a Lord or Lady. 7.) In the House of Lords, every person has a time limit to speak! An alarm clock goes off at exactly 5 minutes! After learning all of these facts, all we had time for was lunch, the souvenir shop and the long trip back home! Thanks for reading about our exciting trip to the Palace of Westminster! This photo was taken outside the Palace of Westminster. We really enjoyed our guided tour of the Houses of Parliament. 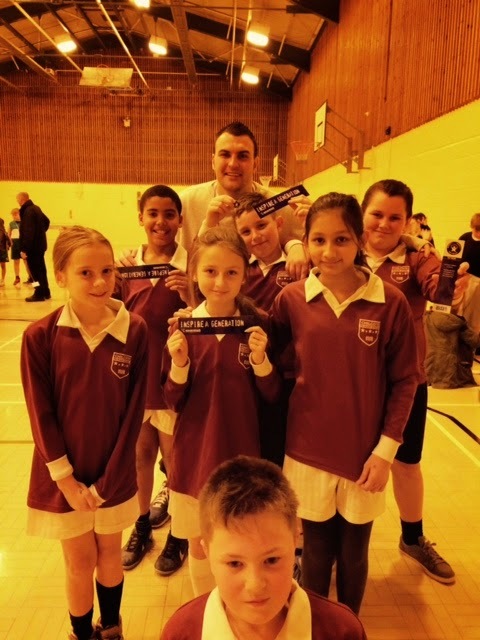 On Wednesday 21st January 2015 seven year 6 children (Grace, Aaliyah, Amy, Giacomo, Joel, Regan and Lorenzo) competed in a mixed basketball tournament at the Ark Kings Academy. The tournament was played in a round-robin format and the children competed against five other schools. In the first game Chilcote played Grendon and won 10 v 0 scoring some excellent baskets and playing really well. In the second game they played against Bells Farm who were a very good team. Chilcote battled hard but went down 9v4 in the end. Next, they played Hollywood who again were a very good team and lost 13 v 2. Chilcote could have scored a couple more baskets but their finishing let them down. In the fourth game they played Yardley Wood and defended for their lives. Chilcote had a couple of opportunities but didn’t take them. Fortunately Yardley Wood didn’t take their numerous chances either so the game ended 0 v 0. Finally, Chilcote played The Oaks and found their scoring hands, they scored 10 baskets in total and won 20 v 0. The team played really well and finished third (joint third with Yardley Wood) overall in the tournament, so well done to all involved!!! See our sensational circus sentences! Can they cascade from your confused cake hole? Crazy clowns cry like clouds clapping cold coconuts. Jolly jugglers enjoy jelly and jam. Amazing acrobats aim their apples in the air. Lion tamers leap lazy lions like lightning. As part of our topic "The Magic Toy Maker" we designed and made our own puppets. First we needed to look at puppets that can be bought in the shops and decide if the were well made and a good design. We also looked at how they were put together. Next we designed two different sorts of puppets and decided which one we wanted to make. Some of us made glove puppets using old socks, lots of us made sharks with sharp teeth! Some of us made dragon puppets, we used paper cake cases for the body and straws for the handles. Other puppets were made from felt, fabric, buttons and wool. We all had lots of fun designing and making our puppets and are really looking forward to playing with them. Here are the links from on the Ancient Egyptian pharaohs homework sheet. Remember to use these as a starting point and write what you find in your own words. We are looking forward to hearing about what you find out! Year 4 had a fantastic day on Monday this week, when experts came to deliver our entry point day for our new topic, 'Temples, Tombs and Treasures'. All of the children took part in several workshops covering different areas of Ancient Egyptian history. 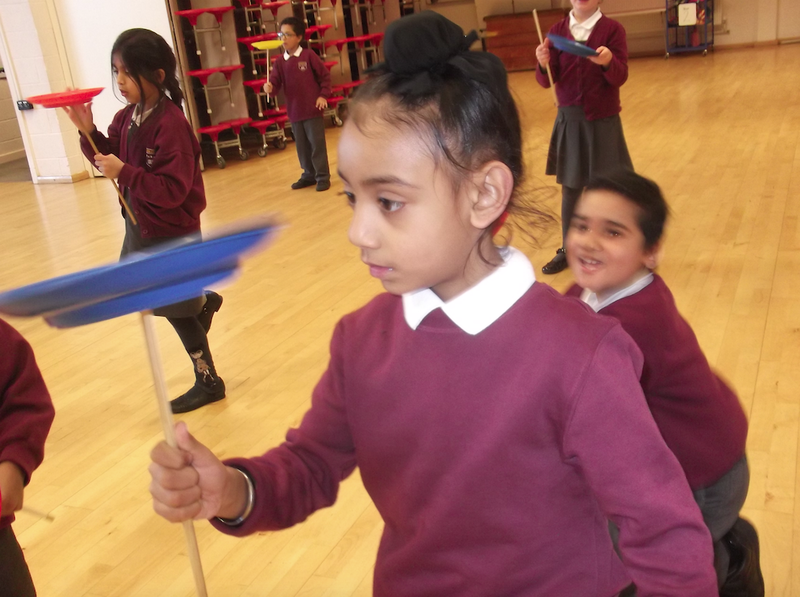 The children learnt about Ancient Egyptian food, music and dance. The children were shown how linen was made and were told about the clothing that the Ancient Egyptians wore. It was great to see some of the children wearing Ancient Egyptian outfits and we all found it entertaining when a child from each class got to wear a wig! The children particularly enjoyed the workshops on Ancient Egyptian toys and mummification. In the toys workshop they got to play with the toys; including wooden blocks that could be used to play jenga, marbles and they learnt that all toys were made from wood or clay. 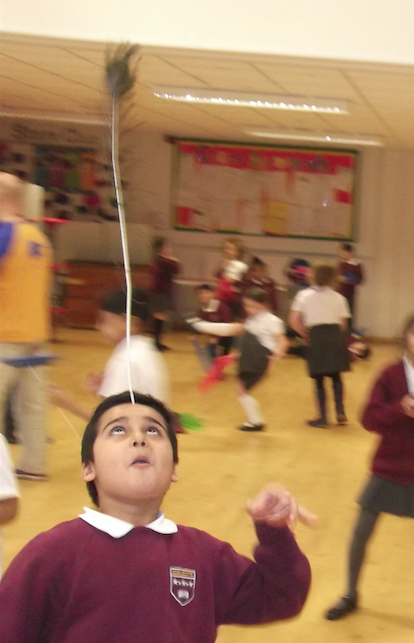 Year 4 experienced that these types of games can be more fun than more modern games that require technology! The mummification workshop was great fun with the children working in teams to wrap one team member in bandages. In the afternoon they learnt about the Battle of Kadesh and took part in a reenactment with each class playing the role of the two armies. It was a brilliant experience and the children learnt a lot about their new topic. Year 3’s new topic Scavengers and Settlers focuses on the survival and lifestyle of early man. The time periods we are learning about range from the Stone Age to the Iron Age. Year 3 children enjoyed an all day workshop as part of their entry point day exploring parts of the fashion, diet, and weapons of early man. 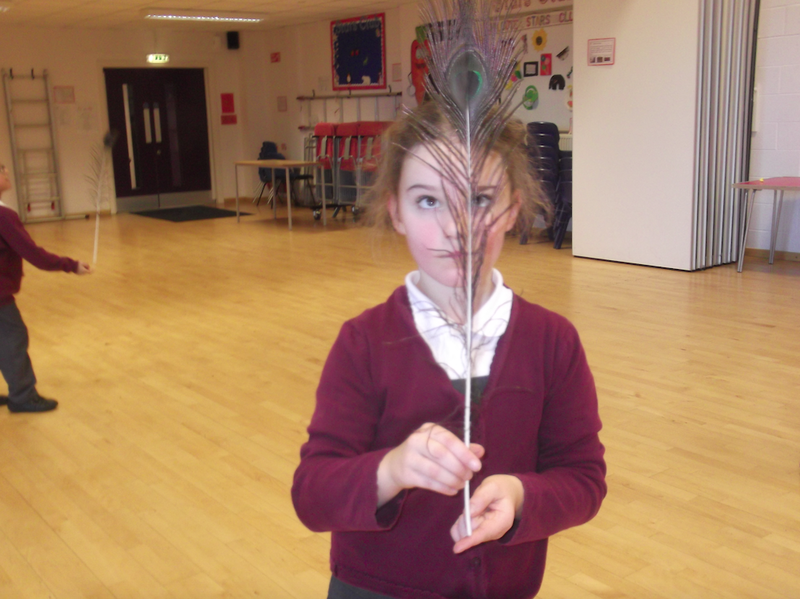 Year 3 were given the opportunity to take part in workshops based around the Stone Age. The children created a class cave painting, and also enjoyed learning about hunting, traditional burials, and tools used by early man. Year 3 investigate a Stone Age burial in their Murder Mystery task! Creating hand prints as part of Year 3's cave painting workshop. Year 3 investigate tools and weapons used in the Stone Age. Doctor Foster needs Nursery's help! We found that leather and rubber were the best materials for the job! On Wednesday 14th January 18 children, from years 5 and 6, represented Chilcote in a mixed sportshall athletics competition at Billesley Tennis Centre. They were competing against two other schools; Hollywood and Grendon. Although, other schools will be competing on a different day and the overall winner will be decided from the two days. The events included: obstacle relay, relay races of varying lengths, over under relay, chest push, standing long jump, speed bounce, vertical jump, standing triple jump and javelin throw. All of the children tried their best and really pushed themselves to get the best times/distances that they could. The children were awarded points based on these times and distances. Chilcote ended the day on 212 points, which put them in first place, only 2points ahead of Hollywood in second. Well done to all of the children involved (Seren, Connie, Phoebe, Megan, Anika, Emily, Aleena, Ellie, Leah, Ali, Max, Bradley, Johnny, Jack, Kyle, Leo, Sam and Zain)!!! 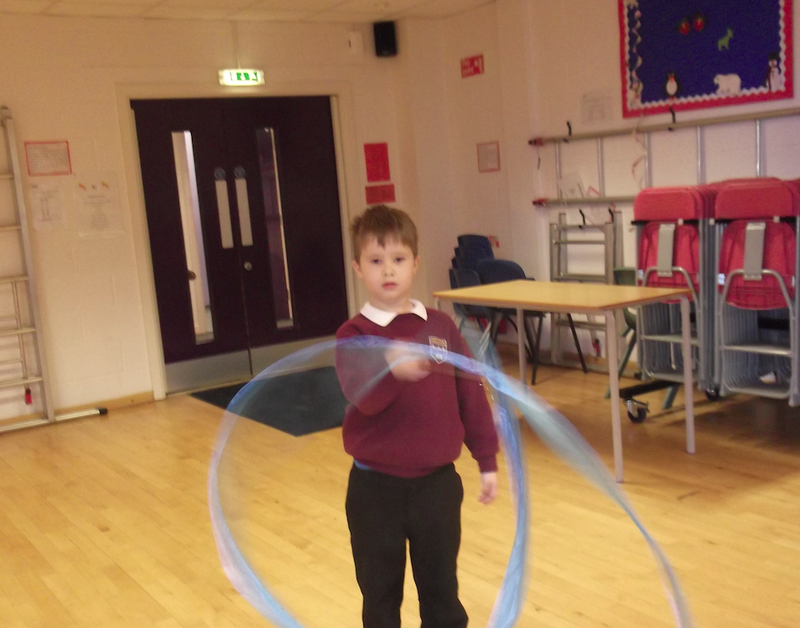 Our new topic is called, ‘The Circus is Coming to Town'. 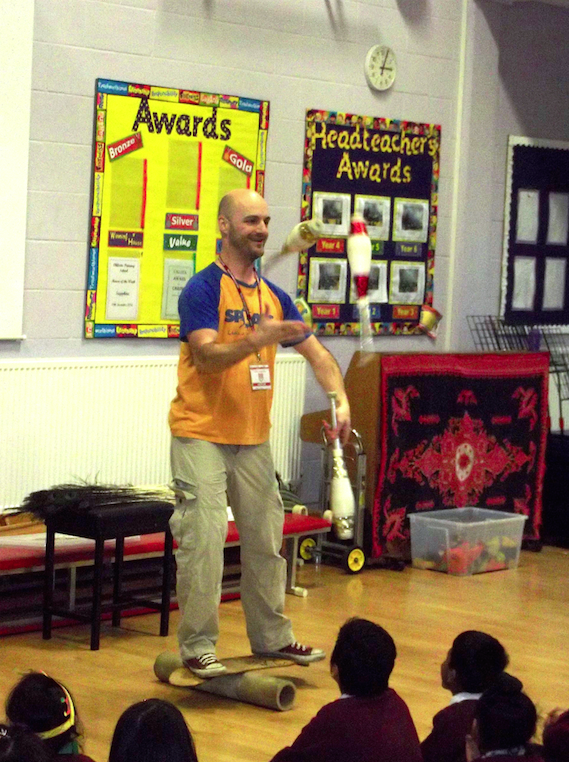 So, today we were treated to a visit from Richard, who is a professional juggler. He taught us all his amazing tricks using: scarves, juggling balls, peacock feathers, ribbons and spinning plates. We also discovered the science of circus performances by watching these incredible circus videos. 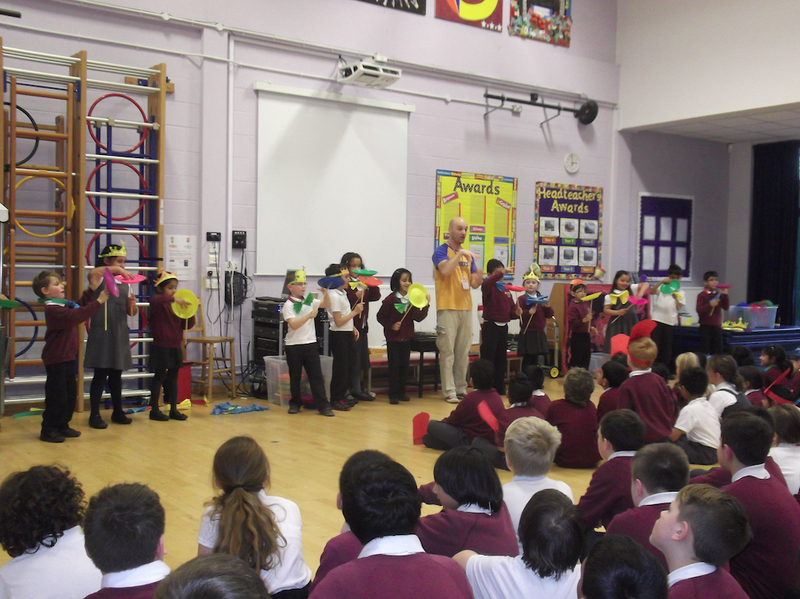 It all built up to us performing in front of the entire school in assembly where we also wore the fantastic clown bow ties and hats we had made. We all received an enormous round of applause from our astonished audience and Richard capped the day off by balancing on a skateboard whilst juggling three large skittles! We cannot wait to start our topic where we'll be juggling: English, where our class novel will be Claude at the Circus; Maths, where we’ll be investigating how money is involved in the circus; Computing and Design Technology, where we’ll be building and programming our own Crazy Clown robots; PE, where we’ll be creating circus dance sequences to music using props and the skills Richard taught us; History, where we’ll be researching how circuses have changed; Geography, where we’ll be mapping our own dream circuses and identifying where and why circuses are popular with different cultures around the world; Science, where we’ll be fair-testing materials for circus tents and thinking about how the circus can upcycle drinks bottles that people leave behind to help the travelling circus workers and performers; PSHE, where we'll be thinking about how animals are used in circuses and imagining life as a traveller; Art and Design, where we'll creating self-portraits as clowns! As if that wasn't enough, we'll all be bringing in our Circus homework projects for an exhibition on our Exit Point Day. In assembly I talked about how fortunate we all are at Chilcote to access free education and to enjoy a range of activities. I also said that it was important to take all the opportunities that are presented to you and that you could make a new year's resolution about this. 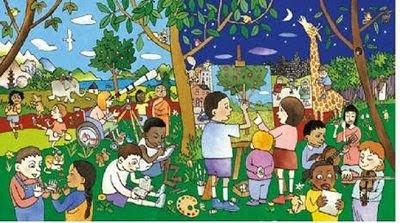 The illustration above by Satoshi Kitamura shows articles 28 and 29 from the UN Convention on the 'Rights of the Child.' 28 All children and young people have the right to free primary education. 29 All children and young people have a right to relax and play, and to join in a wide range of activities. Name some of the activities that you are able to take part in. What new activities or challenges would you like to do in 2015?